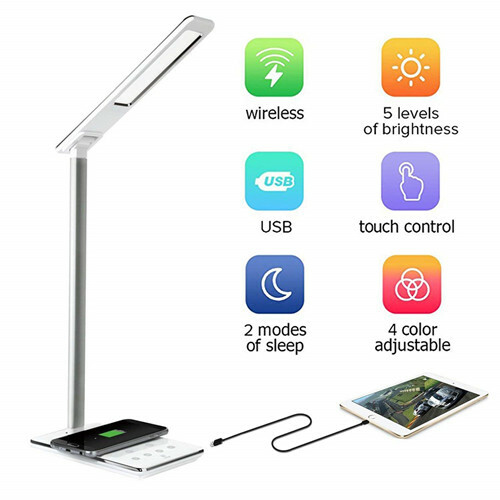 Welcome to check our Newest smart Desk Lamp with USB Charging Port & Qi Charger WD102. Charge Fuction: This lamp is suitable for all devices(smartphone, tablet, E-reader, MP3 player and so on) that support 5V charging . This product supports the following devices for Qi wireless charging: For iPhone X/8/8 Plus Galaxy Note 5,Galaxy S6, LGG2/G pro, Nexus 6, Moto Droid Turbo, Nexus 5/7 (2013)/4, Nokia Lumia1020/920/928, MOTO Droid Maxx/Droid Mini,BlackberryZ30, Pentax WG-III camera, and Other Qi-Enabled devices. Sample order are also highly appreciated. Samples would be sent out within 2-3 working days after getting payment.